A Saudi Arabian advisory council has suggested to the country's leadership that certain women be allowed to drive themselves around, provided they are at least 30 years old, are not wearing makeup, drive during daylight hours, and have been granted permission by a male guardian. This follows on the heels of a surging resistance to the ban by gutsy Saudi Arabian women who have staged dramatic acts of civil disobedience simply by getting into the driver's seat and posting their flagrant disregard for the law, in the way of every modern protest movement, to YouTube and other social media outlets. Thinking about the driving ban got me wondering about how else women in this notoriously oppressive society might be getting around. Because it is a country that is quite literally built upon abundant, cheap oil, public transportation isn't much of an option. Could it be then, I wondered, that Saudi Arabia was abuzz with women bicyclists? The answer, I quickly discovered, is a resounding no. It turns out the same conservative leaders who have barred women from obtaining driver's licenses have effectively banned women from bicycling too. As a result, women who want to legally move around their country are reliant almost exclusively on the willingness of a man to drive them around. 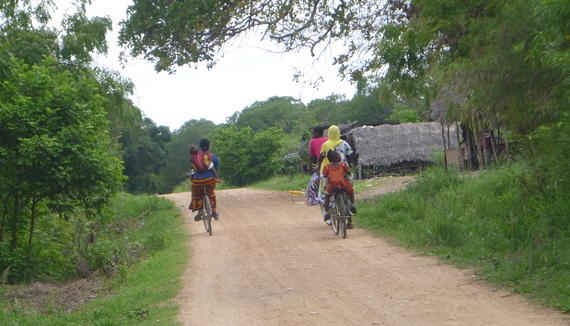 Because women of means can afford to hire a driver, the restrictions on mobility most seriously affect the poor. The ban on women bicyclists isn't unique to Saudi Arabia. Fundamentalists in North Korea and Iran have also imposted gender-specific restrictions on bicycling ("It's not a sin for a woman to sit on a bicycle," Iranian Ayatollah Elm Alhuda purportedly reasoned, "provided she does so indoors or in her backyard.") In Egypt, as across much of the Arab world, social norms hold that bicycling is unwomanly. In Afghanistan, sports in general are taboo for women and bicycling is discouraged perhaps above all, based on the belief that the bicycle seat risks deflowering virginal young women. Simply for riding a bike, an Afghani woman faces death threats or worse. The arguments used today to justify prohibitions on women bicyclists sound remarkably similar to those put forth in this country in the late 19th century, when the arrival of the "safety bicycle" was prompting women and men to take to two wheels in record numbers. A San Francisco newspaper columnist proffered in 1895: 'What the interested public wishes to know is, Where are all the women on wheels going? Is there a grand rendezvous somewhere toward which they are all headed and where they will some time hold a meet that will cause this wobbly old world to wake up and readjust itself?" The practice was met with condemnation from some, who predicted giving women access to the bike would result in an unraveling of the very structure upon which society depended. The conservatives were right to be worried. The bike would prove a game changer, helping to fuel revolutions in spheres from women's fashion to civil rights. It encouraged women to cast off restrictive Victorian corsets and long, heavy skirts that made bicycling difficult in favor of loose-fit bloomers and other selections more conducive to physical activity. Even more importantly, it afforded unprecedented mobility that made it possible for women to get educated, get a job, and be exposed to radical ideas and political organizing as the women's suffrage movement gathered steam. "I am not an advocate of the use of the bicycle among women," a Chicago police captain named Luke Colleran told the New York Times in 1899, according to the rather hilariously-headlined article: "MORALS OF WHEELWOMEN; A Chicago Police Captain Thinks the Use of the Bicycle Dangerous - Mrs. Henrotin Disputes Him." The policeman continued: "Women of refinement and exquisite moral training addicted to the use of the bicycle are not infrequently thrown among the uncultivated and degenerate elements of both sexes, whose course, boisterous and immoral gestures are heard and seen while speeding along our streets and boulevards. [Moreover], a large number of our female bicyclists wear shorter dressed than the laws of morality and decency permit, thereby inviting the improper conversations and remarks of the depraved and immoral. 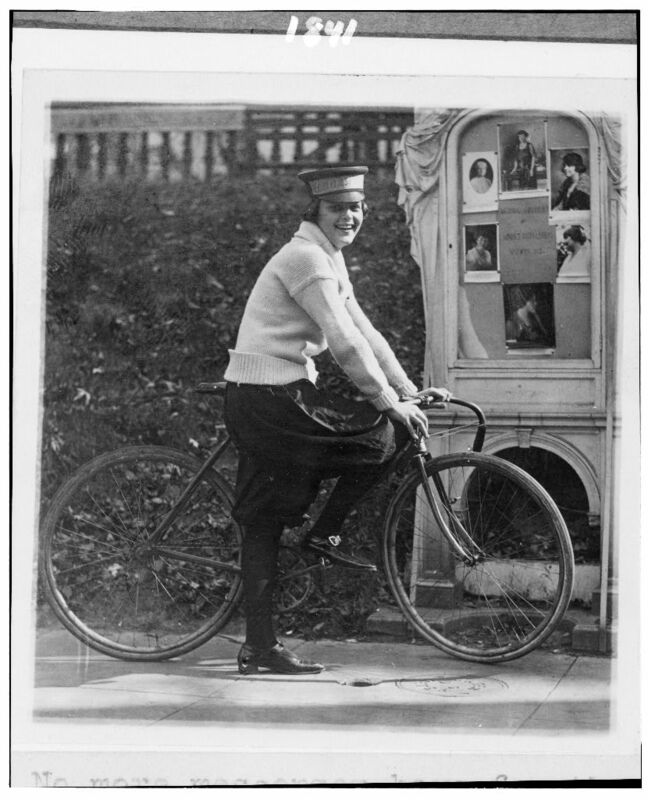 I most certainly consider the adoption of the bicycle by women as detrimental to the advancement of morality..."
Just as the bike stands in some places in the world today as an example of women's oppression, it is also being appropriated as an agent of insurrection among some working to advance women's rights. A group called Girls Revolution in Egypt encourages women to ignore custom and take to the bike as a way to promote broader social change. Palestinian journalist Asmaa al-Ghul, a secularist and feminist living in Gaza City, has used bicycle riding, among other tools, to protest the Hamas-controlled government and its restrictive treatment of women. 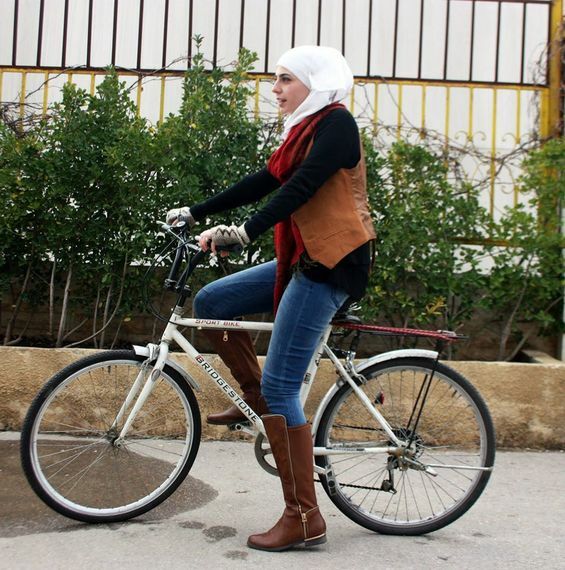 The group Yalla Let's Bike formed in 2014 in Damascus, Syria to encourage residents of that country to take to the bike for transportation amid mounting economic stress, skyrocketing fuel prices, and crippling traffic congestion that are the yields of that country's civil war. Although its main work aims to foster economic empowerment and environmental stewardship for the benefit of all Syrians, the group's work has as a key part of its agenda promoting gender equality in Syria. "We want to change the norms and social snobbery according to which bicycles are for the poor or male athletes," Sarah al Zein, a student of French literature and one of the organizers of Yalla Let's Bike, told me. Even in Afghanistan, where girls are subjected to acid attacks and other brutalities simply for trying to go to school, a group of valiant women has formed a national cycling team. They practice before dawn on highways to minimize public scrutiny, head scarfs tucked beneath their helmets, and are angling for a spot in the 2016 Olympics. 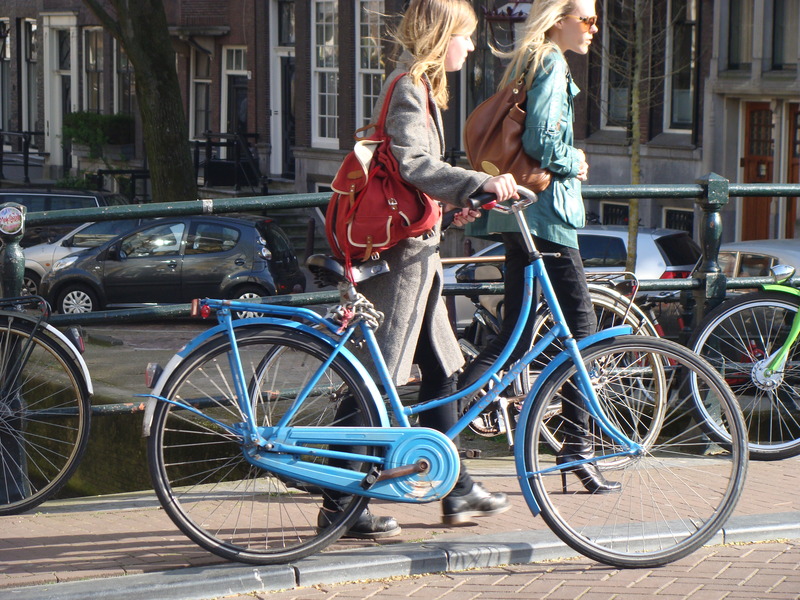 In the western world, we no longer prevent women from bicycling by rule or custom, but public policies and infrastructure make it excessively dangerous to get around by bike in many places. As I witness the occasional cyclist pedaling unprotected along the 1960s-era highway near my office - possibly on the way to a low-wage job at one of the big-box outlets that line the commercial strip or to the store to buy clothes or groceries - I am reminded of the inequities that we have built into our cities by making drivers' needs paramount. As Eben Weiss, author of the blog Bike Snob NYC, wrote cogently on this topic recently: "Effectively, we've lost equal access to the public roadways unless we're willing and able to foot the hefty bill for a car." Our car-centric culture disproportionately affects the poor, for whom the costs of owning and operating an automobile are most burdensome. It also disproportionately affects women, who comprise the vast majority of people living in poverty in the US and around the world. I am inspired by the likes of Philadelphia's Kristin Gavin, whose nonprofit Gearing Up encourages women to bike as a means of working through addiction, trauma, and transitioning back into society following incarceration. And also Janette Sadik-Khan, the hard-charging former commissioner of New York City's Department of Transportation, who in her tenure helped to implement the nation's largest bike share program, banished cars from Times Square, and oversaw the construction of hundreds of miles of new bike facilities. And Veronica Davis, who with her Washington, D.C. based group Black Women Bike is helping to normalize bicycling among a demographic group that has been slow to take to the saddle. In my own city, they are women like Jennifer Ruley, a civil engineer persistently pushing public works and transportation departments to make streets safer for pedestrians and bicyclists; Karen Parson, a transportation planner whom I happen to work with who fights for consideration of all modes in every project that comes across her desk; and Tulane University's Liz Davey, who (along with Parsons) was one of the founding members of the New Orleans bicycle advocacy organization now known as Bike Easy back in 2003, a time when very few people here were thinking about the bike as a viable transportation mode. This brand of pioneering women also includes Rox'E Homstad who works with the blind and deaf community, is blind and deaf herself, and is quite possibly the most articulate and compelling advocate for safe streets for all that I have ever encountered. Susan B. Anthony observed during the heyday of the women's suffrage movement that the bicycle was a great emancipator for women. Today, constraints associated with the built environment notwithstanding, I think the bike can be seen as a great equalizer - a cheap, healthy, accessible mode available to virtually everyone regardless of income, age, race, or gender. I ride alongside janitors and lawyers, parents carrying their children to school and college students on their way to class. They are women, men, young, old, black, white, Asian, and Hispanic. No matter how much we've paid for our bicycles, what we do for a living or how educated we are, we are susceptible to the same weather, potholes, and crazy drivers, just as we all know well the joys of navigating our city by bike. While I can't say that I've ever said hello to or smiled at another driver as I've whizzed down the street in my car, on a mission to get where I'm going as fast as possible, this type of exchange with fellow cyclists occurs every time I ride. From the saddle, one can't help but recognize our common humanity - that we truly are all in this together. It is my hope that this book, in some small way, can help to nudge our society a little bit closer toward that ideal, one pedal stroke at a time. This post is adapted from the author's book, Urban Revolutions: A woman's guide to two-wheeled transportation.